In these last few weeks of the year, Game of the Year becomes the talk of the town. People have started pointing fingers at some obvious contenders. God of War and Marvel’s Spider-Man, the PlayStation powerhouses of the year, are clearly in the running. Monster Hunter: World set the record as Capcom’s bestselling game. Ubisoft released Assassin’s Creed Odyssey, the biggest game in the franchise to date, and Arc System Works brought Dragon Ball Z to life with Dragon Ball FighterZ. Nintendo had a relatively quiet year, with Octopath Traveler and Super Mario Party being the only major first-party releases, and Pokémon: Let’s Go and Super Smash Bros. Ultimate being pretty late to the party. Oh, and we can’t forget Rockstar’s Cowboy Simulator 2018. Surprise! Celeste could be 2018’s Game of the Year! Yeah, you read that right. 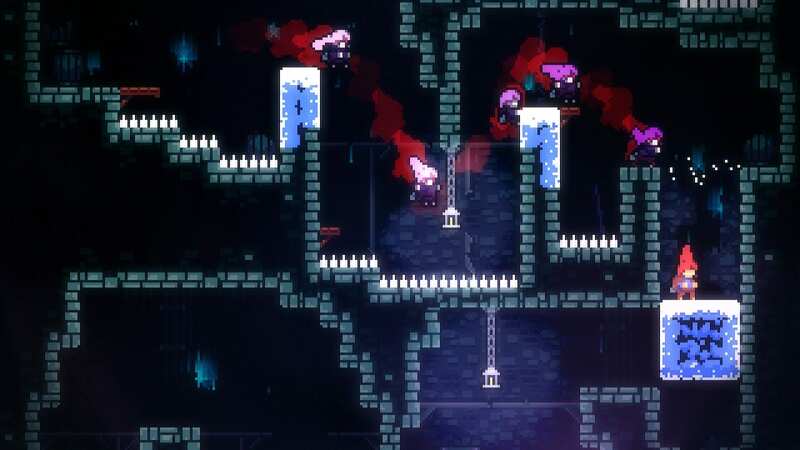 Celeste, an indie platformer that released in January, is playing with the big boys. Historically, AAA games fill the list of Game of the Year nominees, like the ones I listed above. Indie games are usually relegated to a lower strata. This Celeste nomination is part of a narrative that’s slowly changing the gaming climate. This isn’t the first time an indie game has been in the spotlight. At The Game Awards 2016, Playdead’s Inside was nominated for Game of the Year, although it didn’t win. Last year, PlayerUnknown’s Battlegrounds was nominated, and that’s technically an indie. Now, in 2018, Celeste is filling the role as the indie nominee for Game of the Year. It’s also up for other awards, including Best Score / Music, Games for Impact, and Best Independent Game. I recently bought and played the game because of all this praise, and these nominations are well deserved. The soundtrack is phenomenal, and the gameplay is simple but brutally innovative. Above all, its narrative tackles subjects many AAA games wouldn’t dare to, and Celeste pulls it off beautifully. I can’t describe how much this picture reminds me of how terrifying this level was. Is it good enough to win Game of the Year over the other five nominees? It’s hard to imagine the jury giving it the award, but frankly, even being nominated is a praiseworthy feat. Celeste represents the next chapter in the ongoing journey of making indie games as relevant as any AAA game. Indies represent one of the best things about this industry: Nearly anyone with a good idea and the right motivation can make the game of the year. Sure, AAA games offer more than many indies. You’ll see higher-fidelity assets, longer stories, and complex 3D environments more often from big developers. But at the end of the day, it’s about how much a game resonates with people. The deceptively simple platforming of Celeste can be just as rewarding as swinging around New York City as Spider-Man. Celeste’s narrative can impact people just as much as the end of Red Dead Redemption 2. 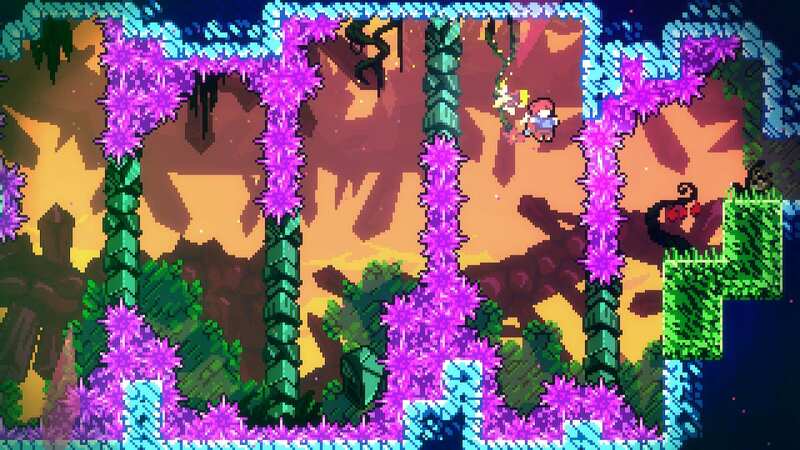 The 2D pixel art of Celeste doesn’t make it any less of a game. Being an indie shouldn’t inherently reduce a game’s worth, and this Game of the Year nomination supports that. Celeste is absolutely worth the nomination this year. It didn’t have billions of dollars to spend on development and marketing. It didn’t have a team of 300 people. That doesn’t prevent it from having a shot at winning the most prestigious award of the year. The team behind Celeste didn’t go through a major developer or publisher, and now they stand on the same stage as Capcom, Ubisoft, Sony Santa Monica, Insomniac and Rockstar. Kudos to Matt Thorson, Noel Berry, Amora Bettany, Pedro Medeiros and Gabby DaRienzo for the stellar game design, artistic direction, and touching narrative. And, of course, massive recognition to Lena Raine for the killer soundtrack. Will this talented team bring home the highest honor on Dec. 6? We can only wait to see.